1. Do you have access to my unit? No we do not hold any keys unless we have specific written instructions from yourself to do so. 2. Can you take delivery of goods for me? Under certain circumstances we can take receipt of items for you. Please contact us for more details. 3. Is there anything that I can’t store? You are not permitted to store any of the following: Food and perishable goods, birds, fish, animals and any other living creature. Combustable or flammable materials such as gas, paint, petrol, oil, cleaning solvents or compressed gas. Explosives, firearms, weapons or ammunition. chemical, radioactive materials, biological agents, toxic wastes, asbestos. Any items which emits smells odours or fumes. Illegal substances, items or good illegally obtained. 4. When can I move in? Today, as long as you have signed the contract and set up payment. 5. What can I store at your facility? Almost anything, including household items, furniture, panellised goods, bulk goods, business stock, vehicles, leisure items, the list goes on! 6. Do you do removals? Sorry, no we don’t, but we can put you in contact with reputable local companies that do. We insure our containers against normal insurance risks outside our control such as fire and explosion. You will need to insure your contents that are stored with us. 8. How do I move my goods from my vehicle to my storage unit? You can park right outside your container for maximum convenience. For heavier goods that need moving we can arrange masted or telescopic boom forklift and driver help as needed. Just let us know. Our standard access hours are 24 hours a day, 365 days a year. 10. What security do you have? Our corten steel containers come complete with purpose built lock boxes designed to make padlock removal very difficult. 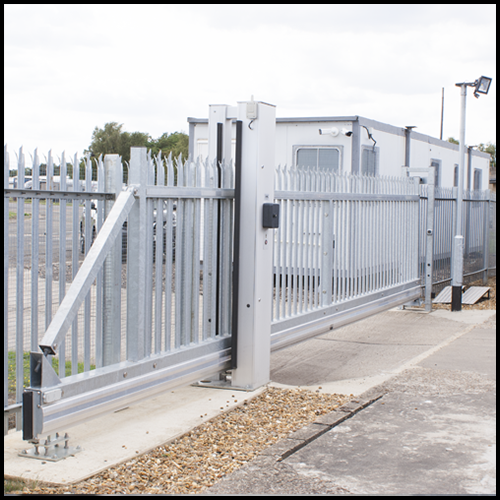 We have also installed a secure palisade 1.8m high security fence around our site with a single siding gate which can only be opened and closed by customers on presentation of their individually listed key fob tag. 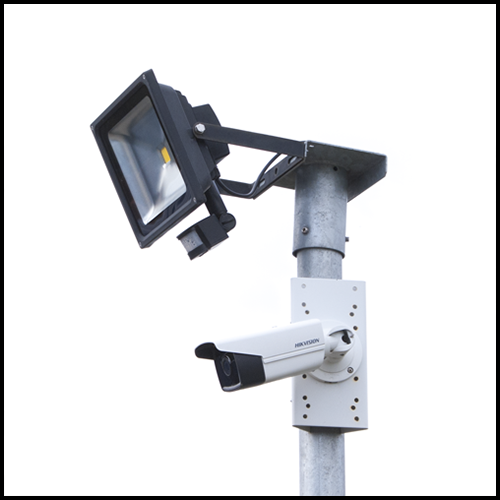 Our site is also monitored by a sophisticated CCTV camera system. In addition, Bentwaters Parks has guards patrolling the whole site on a 24/7 basis. You can pay by BACS, Debit Card, Credit Card, or by Monthly Standing Order. Our current rates are based on £80/month +VAT (£96 Inc VAT) for a 20ft long by 8ft wide container. 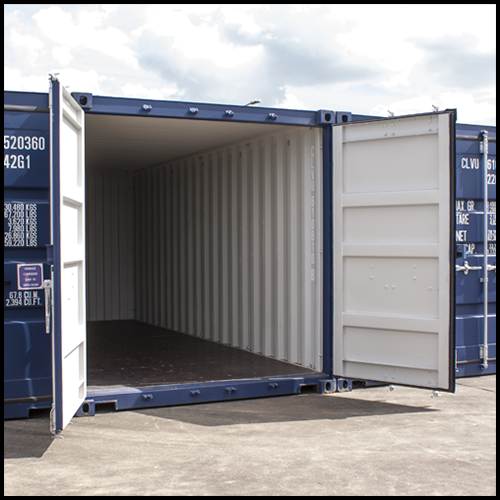 We also offer 40ft x 8ft containers at £160/month +VAT. 13. What is the minimum period of rental? 14. When do I pay? We invoice payment in advance at the start of each monthly rental period. 15. What do I need to do to start storing? We just need to get your contact and vehicle registration details, and then ask you to fill in a simple inventory of the type of goods you intend to store with us, along with your agreement to our terms and conditions and your first payment and then you are ready to start using your unit. 16. Do I pay any deposit? We don’t ask for any deposit on your container, but we do need it to be returned to us in a clean and tidy condition at the end of the hire period. 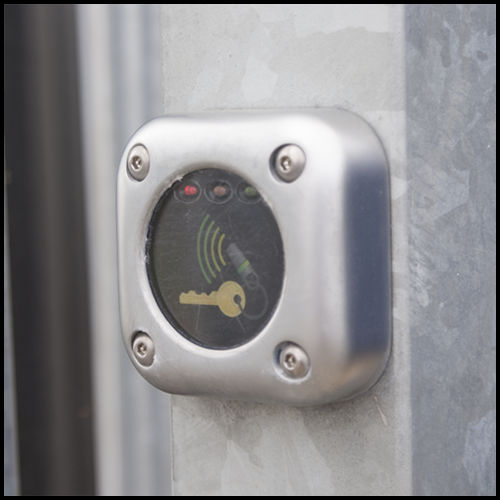 We do ask for a £15 deposit on the key fob that we issue you with for site access at the start of your time with us. This deposit is returned to you at the end of your hire period on presentation of your key fob. For lost key fobs we make a £15 charge for reissuing a new one to you. 17. How do I contact you? We can be contacted for enquiries and assistance by phone (Andy: 07976 955150 or Helen: 07706 496294) or by email at office@fennridge.co.uk and we are regularly on site in person.